Good Morning! 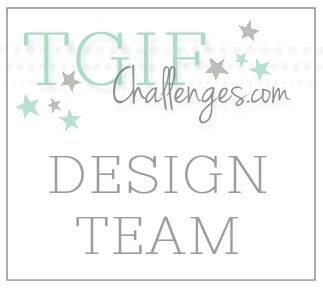 Today I have card to share with you for Catherine & Cathy Create's card challenge. The challenge this month is to use a button on your card. For some reason I don't often use buttons, so I was excited about this challenge. I decided to go for a spring inspired card. My color scheme of Calypso Coral, Soft Sky, and Smoky Slate came from the Color Coach. This is a great tool for matching colors! The background image is from Gorgeous Grunge (this is the most verstile stamp set) and the sentiment is from A Dozen Thoughts. 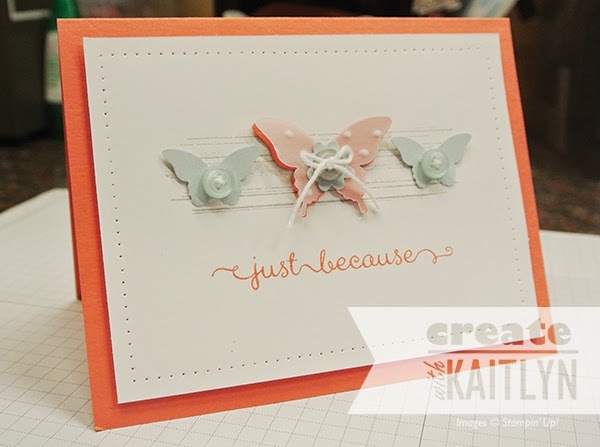 I used both the Elegant Butterfly and Bitty Butterfly Punches on this card. These two punches go together perfectly! For the center butterfly, I punched out two butterflies, one in Calypso Coral and one in Vellum Cardstock. The Vellum layered over the Calypso Coral softens the color a bit. I also layered it with a flower from the Boho Blossoms Punch and a Smoky Slate button. 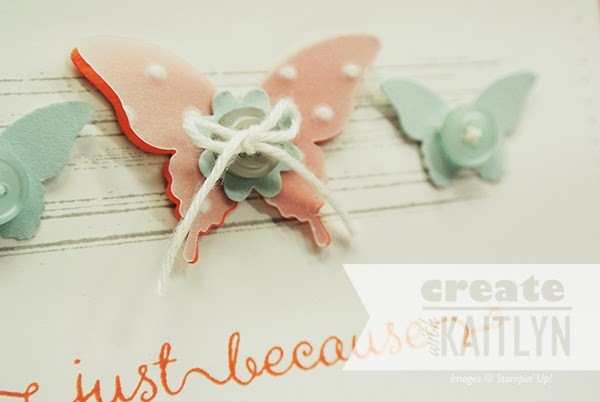 I also used some Soft Sky buttons on the other butterflies. My major tip for using buttons is to never leave them naked. Here I used White Baker's Twine to finish off the buttons. 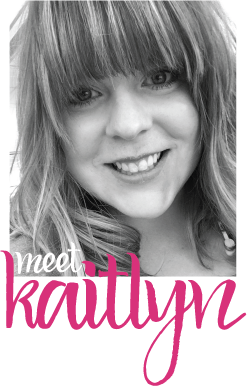 Be sure to head on over to Catherine & Cathy Create to join in on the fun! Thanks so much! I'm glad you were inspired and can't wait to see your version!